Searching out opinions of locals and natives on their favorites is a great way to both make friends and learn about other options for short trips and fun times. The best tico friend I’ve made so far, I met somewhere that was suggested to me by other ticos. Living with a host family truly gives you an authentic Costa Rican experience. If you want to continue with that, go the places that they go, and do the activities that they do. This includes popular restaurants, museums, parks, and more! It’s also really easy to get into a routine of going to class, eating somewhere close to Veritas for lunch, and walking home for dinner after hanging out with a few friends as if you’re not somewhere new. The secret is to never stop exploring. Especially for students only here for four weeks, that month will go by much sooner than you think, and all of a sudden it’s a week before you leave, and you’re barely done half the things you wanted to. Of course some days you’ll have to study a little harder for a test the next day and can’t go out, so don’t be too hard on yourself, but try to set a deadline for things that you definitely want to do or see, then also allow extra time for other excursions that you may hear about later. Sometimes in cities with high rates of tourism, there may be a restaurant or attraction that’s popular or highly rated online, only because it’s a favorite among tourists and it may remind visitors of home. 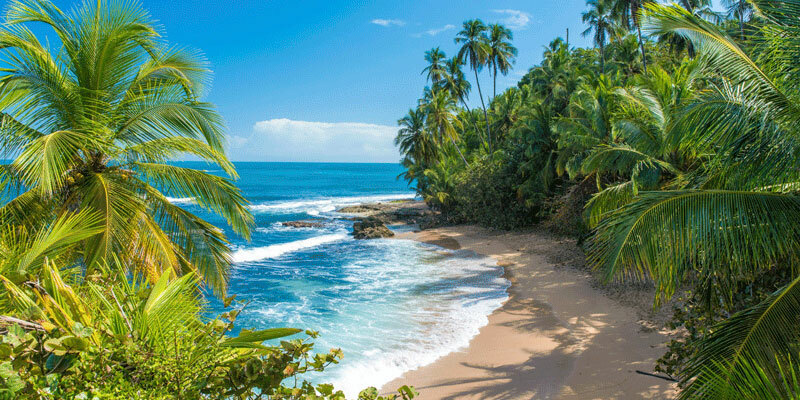 While it may be easy to get homesick and sometimes a meal that tastes a lot like your mother’s cooking or a park that feels like the one near your home is just what you need; however, if you’re only visiting places or eating at restaurants that remind you of home, are you really getting the full Costa Rica experience?